Home > Events > Strictly Nugent 2017 > Strictly Nugent, as it happened! Oh what a night! With your help, we have raised over £25,000 so far! 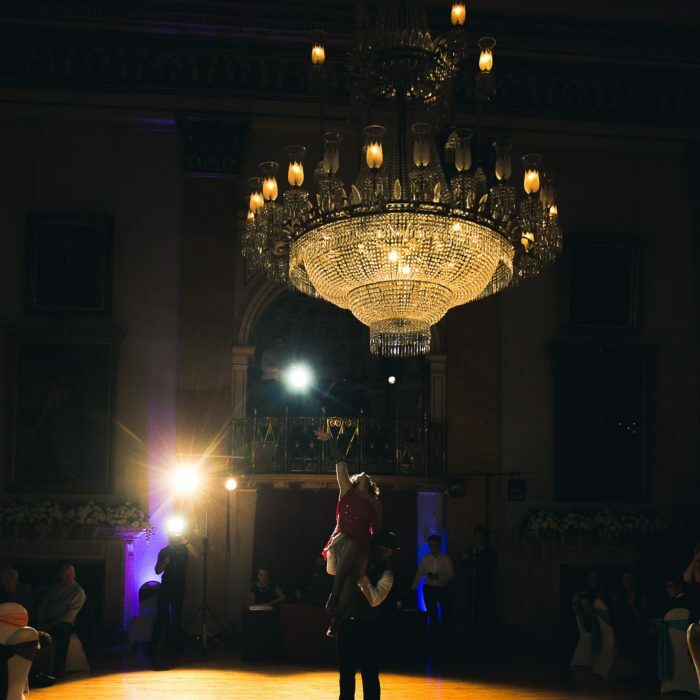 28 Dancers…..4 Judges…….2 Glitter Balls…Strictly Nugent really blew the roof off of Liverpool Town Hall. 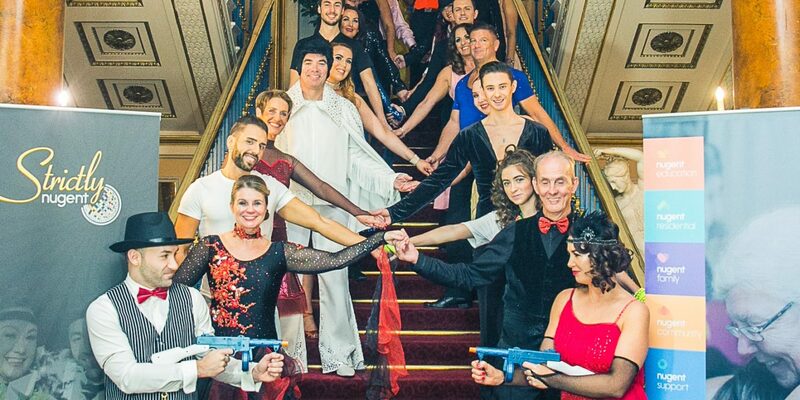 Sponsored by Lynbrook and Sefton Specialised Roofing, this year’s spectacular dance show raised over £25,000 to support children and adults living in poverty, with 14 amateurs partnered up with a professional dancer to compete for two Strictly Nugent Champions Awards. This year threw up a big surprise, with one couple winning both the The Judges’ Winner trophy and The Audience’s Winner trophy! Amateur dancer Frances Molloy and her dance coach Ben Cosgrove performed a beautiful Viennese Waltz to a tune written by France’s son. With the audience on their feet, and the independent panel of Judges scoring four 10’s to Frances and Ben to create a tie with another couple, it took a judges meeting to decide the final result! Our MC’s Paul Corcoran, Managing Director of Agent Marketing and our Fundraising Assistant Francesca D’Arcy announced that Frances had won both trophies and the crowd went wild! We where really excited that the one and only, Strictly Come Dancing announcer, Alan Dedicoat, agreed to record all the announcements for the evening. Listen out for his voice whilst you watch the Strictly Nugent live broadcast of the show at our facebook page – wearenugent. Our MC’s, Paul Corcoran, and Francesca D’Arcy. We couldn’t have made this happen without the valuable support of our sponsors. Established nearly 40 years, Lynbrook has become one of the most respected print technology providers within the public sector, which can be attributed to strong values of personalisation and exceptional service delivery. Anthony Strode, Company Director is not only taking part in this year’s Strictly Nugent, but also has come on board as a main sponsor. He has been a supporter of Nugent for a while and has just opened Specialised Designs, which is part of Sefton Specialised Roofing and provide bespoke garden pods.